In this space last week it was Broadway. 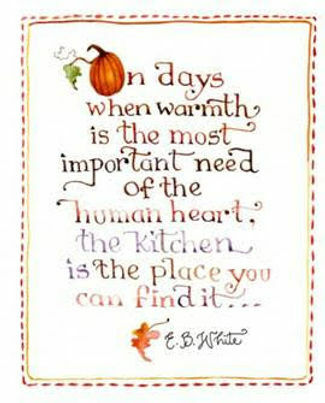 This week it’s the kitchen, the place where everybody gathers, and it’s not just because of the stove. The coffee pot’s in there too. In the kitchen, several old things are new again. In the 70’s we went to each other’s houses for dinner, which was often potluck, and our Crock Pots ® stayed on the counter because we used them so often. Then the Crock Pot was relegated to a shelf in the garage and last time I went to a potluck supper, many of the dishes were store-bought. Not a single tuna and noodle and peas casserole in sight. Crock Pots returned in sleek versions we call slow cookers and we’re all exchanging recipes. Here’s mine: put one onion in a crock pot and the house smells like home all day. Casseroles are now known as one-dish meals with many more than the three or four ingredients we relied on. We’ll need to buy some new casserole dishes. 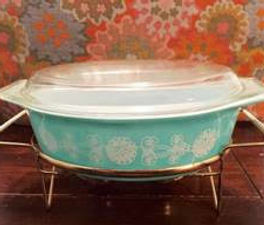 I gave away the last one a long time ago and I don’t know where we stored the Pyrex. ? 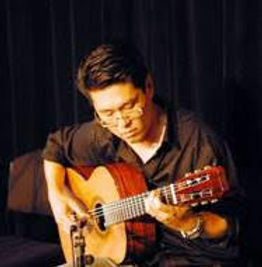 “Tea For Two” performed by Australian guitarist, Gilbertt Kat.